Ahhhhh, I have been in Spain for seven weeks now and I have to say… It feels more like seven months. In these last months I have eaten more tapas than I ever thought possible, passed (with flying colors) the most rigorous course of my life, lived in six (going on seven) different rooms, found employment (without a Visa, mind you), made friends from all over the world (think Holland, UK, Spain, Denmark, Italy...) and fallen madly in love with Seville. It has been a whirlwind to say the least. But I have enjoyed every minute of it. After a hectic three weeks of non-stop apartment hunting, I finally secured my flat for the next year. 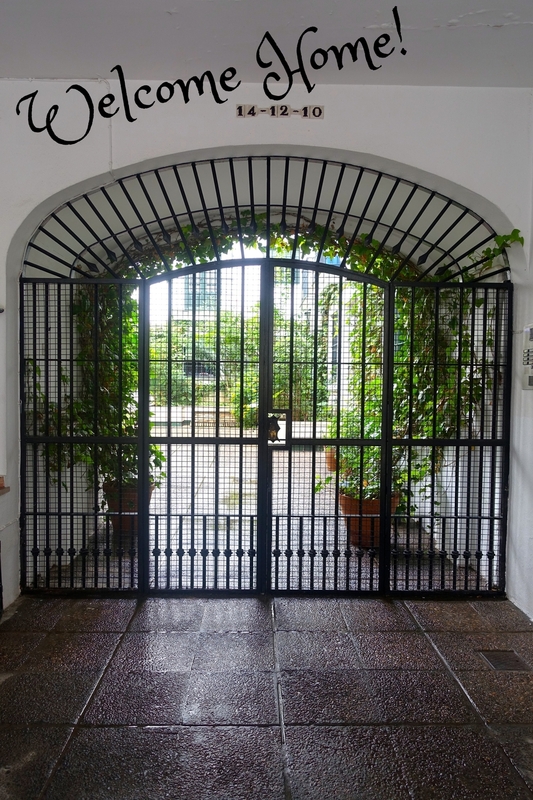 It was well worth the wait: located in a central part of the city, my room has a super gorge view of the patio, it’s gated (don’t worry Momma, I’m safe!) and I am going to be living with a Spanish girl named Marta who is studying art at the university around the corner. Counting down the days until I can move in and Pinterest the sh*t out of my glowing white walls. In other news... Last week I went to a bullfight (los toros) with my friend Laura and she is the epitome of a chica española—writing another post about this! But in true Sevilliano nature she LOVES love loves los toros and as a journalist, she writes reports on the fights. It was nice to have some insight on all the different stages of the event while it was happening. She made sure to tell me "Caylee, ahora lo mata" AKA prepare yourself, the bull is about to die. 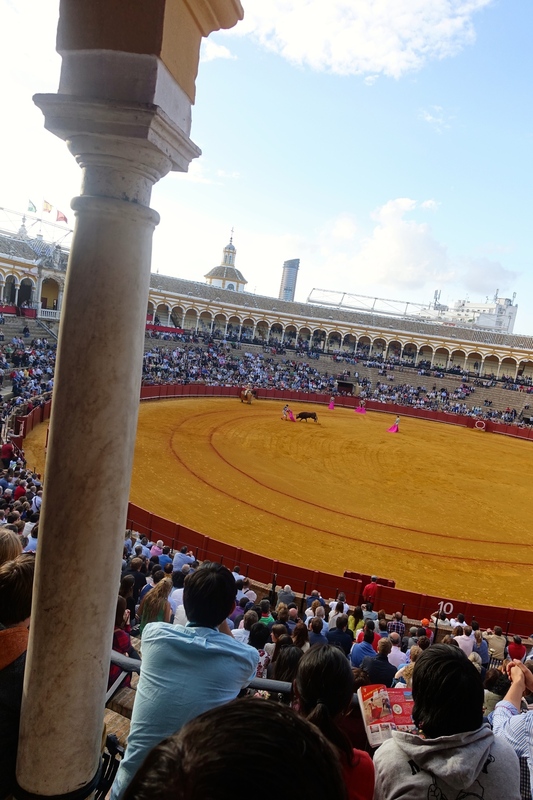 I have mixed feelings about the bullfight… It was less gruesome than I had originally thought it would be (not a lot of blood/ the bull never shrieked in pain) but it was definitely not an even match; the bull didn’t stand a chance. It is not just a 1:1 battle... There are a lot of other bullfighters helping the main torero throughout the event. My friend Shaku said it reminded her of grade school bullies picking on the weakling during recess, which was a great analogy of the situation. Still, I am glad I went and saw infamous toros for myself. I hope my posts inspire you to take risks, to travel to foreign places, learn a new language, invest in other cultures, and be unafraid to live the life you imagined. The more courage you have to pursue your dreams, the more likely you are to achieve them!